The purpose of the NAHB Remodeler of the Month award program is to celebrate local, active remodelers who stand out because of recent quality work, customer service, community involvement, and dedication to furthering the industry. The winner, once selected by the NAHB Remodelers, is profiled in Qualified Remodeler magazine. 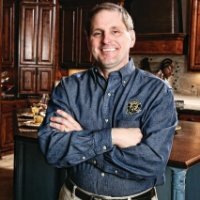 May 1, 2017 (Tulsa, OK) — Mike Fournier of The Sonrise Companies in Broken Arrow, OK was named the National Association of Home Builders (NAHB) Remodeler of the Month for May. Fournier was selected for his leadership, quality craftsmanship, customer service, and community involvement; as his company exemplifies the best in the remodeling industry. Approximately 140,000 builders and remodelers across the country are eligible for consideration of this monthly award. Founded in 2000, and now with over 11,000 satisfied Sonrise customers, “We Build Dreams!” is more than a tagline to Mike Fournier since it represents a pinnacle that very few remodelers achieve. Surprisingly, residential remodeling wasn’t Mike’s first vocation. Employed full-time since age 14, Mike has succeeded in three unrelated industries; restaurant, insurance management, and residential construction. Across the board, Mike’s customer service and marketing strategies are the principal reasons for his success. Fournier’s involvement at the local HBA is one of the many reason’s he was selected. In 2016, Mike’s commitment to the HBA Remodelers Council STAR (Membership Recruitment/Retention) Campaign resulted in 16 new Council members and 30 new HBA members, which won him the Annual Spike Award. At HBA events, Mike personally welcomed the new members, introduced them to other members, and advised them of the variety of programs and opportunities available at the national, state, and local levels. His leadership ability and drive have not gone unnoticed by his peers. In 2016, Mike was elected Remodelers Council Secretary, which leads to service as Council President in 2020. He supports the Council’s Home Remodeling Showcase and its associated fundraising gala as a participant, committee member, and donor. In 2016, of the 8 homes on remodel tour, 3 of them were a Sonrise remodeled home. Last year, the fundraiser netted over $20,000 given to Family & Children Services, a local behavioral healthcare provider, for their capital improvement project. Plus, Mike’s commitment to professional education made him the top choice for 2017 HBA Education Chair. Mike’s imagination and initiative are manifested in over 200 YouTube videos and over 150 blogs which he’s written and posted; from which help to yield a #1 page listing on Google for “service-specific” keywords. This results in the highest possible customer traffic to his three company websites: www.SonriseConstruction.com, www.SonriseGunitePools.com, and www.SonriseHardscaping.com. His efforts were also acknowledged at the 2016 Remodelers Show in Baltimore where Mike scored an “A” from GroupTwo on his social media report card. Mike possesses the unique skills, values, and interests to reach the pinnacle of success in the remodeling industry especially when those attributes improve his customers’ most valuable asset - their homes! March 17, 2016, Tulsa, OK-Barry Helms of Renovations by Helms in Bixby, OK was named the National Association of Home Builders (NAHB) Remodelers April Remodeler of the Month. Barry Helms was selected for his leadership in craftsmanship, customer service and community involvement and exemplifies the best in the remodeling industry. Renovations by Helms has been serving their clients for over 30 years with 95% of their client base being repeat and referral clients. Helms holds multiple professional designations including Graduate Master Builder, Certified Graduate Remodeler, Certified Green Professional and Certified Aging in Place Specialist. Renovations by Helms has been on the TulsaPeople A-List two years in a row. Helms' involvement at the local HBA is one of the many reasons he was awarded the prestigious title of Remodeler of the Month. His action and advocacy have been recognized by his peers and he received the HBA Remodeler of the Year Award in 2005 and 2015. 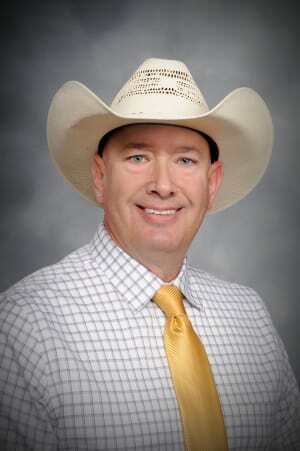 In acknowledgement of his use of the highest percentage of goods and services provided by the HBA associate members in his projects, Helms also received the HBA Spirit Award in 2005 and 2015. Helms' passion is to take a project from the design phase to final completion with the final project being all the homeowner believed it would be. 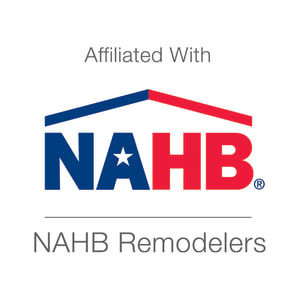 May 26, 2015, Tulsa, OK— Peter Grant of Grant Homes Remodel & Restoration in Tulsa, Oklahoma was named the National Association of Home Builders (NAHB) Remodelers May Remodeler of the Month. Grant, selected through a stringent judging process of NAHB Remodelers leadership and staff, exemplifies the best in the remodeling industry. Grant Homes Remodel and Restoration has been “Making Homes Out of Houses” for over 25 years. Grant holds several professional designations including a CGR, CAPS, CGP and is in the process of completing courses for his CGR designation. Their consistent quality practices result in homeowner expectations being met and as a result, positive word-of-mouth customer referrals. Door hangers placed at neighboring homes advises that a remodeling project is underway, but also serves to provide contact information for questions or concerns as well as an invitation for a free consultation. Grant’s involvement at the local HBA is one of the many reason’s he was awarded this prestigious title. In 2013, Grant served as the Remodelers Council President with the goal of raising the professional standards of the Council. Among many things, he promoted informative educational programming and encouraged sharing industry trends between Remodeler and Associate members, and by year’s end, Council attendance averaged 50% of total membership. His action and advocacy have been recognized by his peers and he has received the HBA Remodeler of the Year Award, consecutively in 2013 and 2014. In acknowledgment of his use of the highest percentage of goods and services provided by HBA Associate members in his projects, Peter received the HBA Spirit Award in 2013. In 2014, the HBA Senior Officers presented him with the Executive Committee Member of the Year Award for his outstanding service above and beyond the call of duty to the Association. 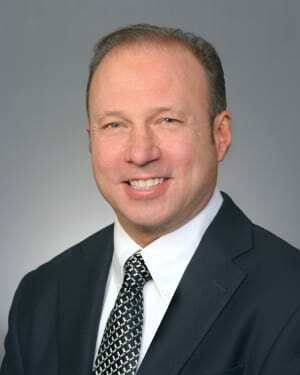 In 2015, Peter was elected as HBA Vice President/Secretary and he is leading initiatives for educational outreach to high schools and universities in our area and mentoring within the Association.